Republican state lawmakers are fast-tracking a bill making it harder to put issues on the statewide ballot. The legislation would set a hard 180-day limit for collecting petition signatures. Right now, campaigns can argue that older signatures are valid and should be counted. Senate Bill 776 passed on a party-line vote. Republicans say it makes the law more clear. “Everybody knows it’s going to be within those 180 days,” said state Senate Majority Leader Arlan Meekhof, R-West Olive. “Instead of dealing with the pressing issues that we are here to deal with on an everyday basis, once again we are here passing legislation to block the vote,” said state Sen. Coleman Young II, D-Detroit. A state elections board is considering a policy change that would make it easier to count signatures outside the 180-day window. That effort was launched by activists hoping to legalize marijuana in Michigan. “You cannot block the vote just because you don’t like what those people are standing for,” said Young. The legislation now goes to the state House. Last December, in the final hours the Legislature was in session for 2015, a bill passed both Houses and was later signed by Governor Snyder. That bill had originally been 12 pages, but was replaced by the 53-page Senate Bill 571. Several legislators say they didn't know the contents and the changes, but it still passed. Some legislators say they later regretted voting for it. The ballot campaign to add LGBT and women’s rights to the state constitution is kaput, at least for this year. The Fair Michigan campaign succumbed to the reality this past week that it was not going to get the establishment support and financial backing it needed to put the question of adding gender equality and LGBT rights to the state constitution’s equal protection clause. LANSING, Mich. (AP) - An information freeze for local and school officials is thawing after a federal judge issued a preliminary injunction on a new Michigan election law that critics called a gag order. 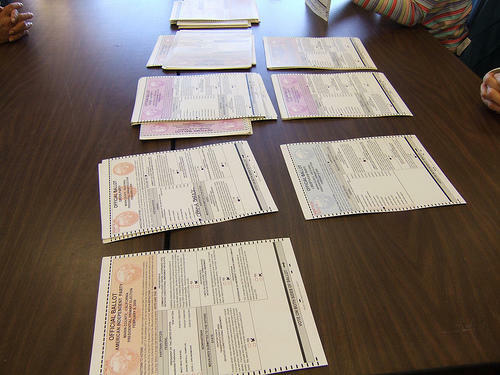 The injunction came as a relief to many local and school officials fearful of legal repercussions for distributing information about upcoming ballot proposals. Gov. Rick Snyder signed the legislation into law this year.